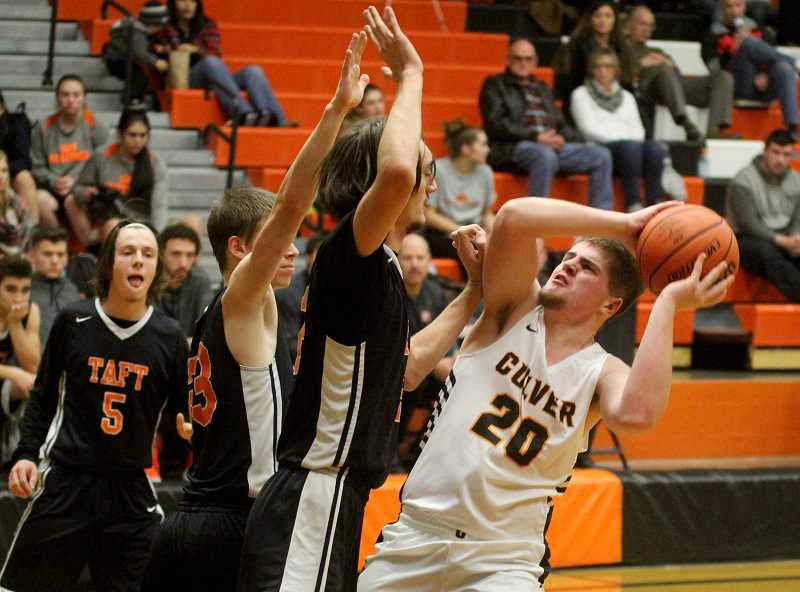 The Culver Bulldogs boys basketball team lost to the 3A Taft Tigers at home on Dec. 20. 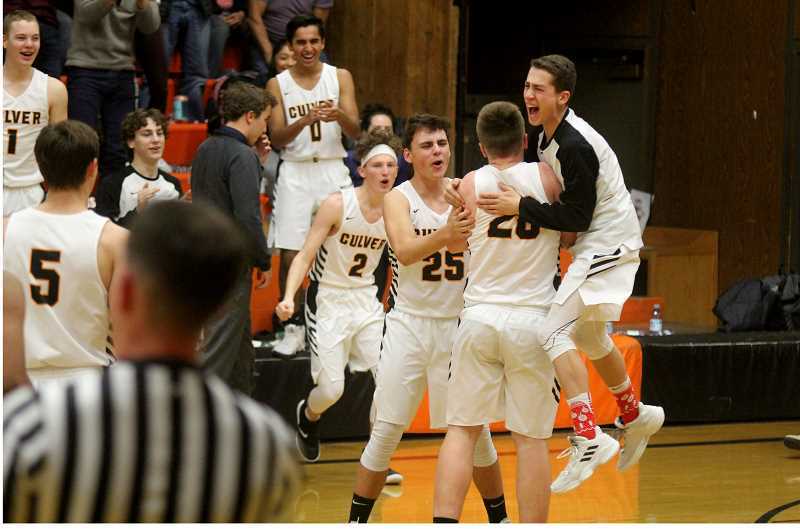 The Culver boys basketball team could not complete a comeback as they lost to the 3A Taft Tigers 67-39 on Dec. 20.. 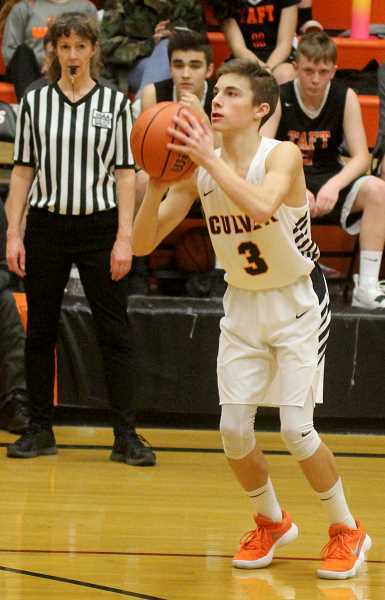 The Bulldogs were down 9-1 early, before a Cord Gomes lay-in stopped the Tigers' run and on the next play, Eli Tapia scored on a drive to the rim, cutting the Tigers' lead down 9-5. Culver was down 14-6 at the end of the first quarter. The Bulldogs were down 33-13 before Taft called a timeout with around two minutes left in the half. Culver came out of the timeout energized and pumped up. Gomes grabbed an offensive rebound and put back. Later, Jordan VanAlstyne was able to score on a hard drive to the hoop. With time winding down, VanAlstyne drove to the hoop and kicked the ball out to a wide-open Kyler Cox. Cox caught the ball and fired from deep, hitting nothing but net. Culver went into halftime only down by 10, 33-23, thanks to a 7-0 run to end the half. Luke Spinelli hit a 3-pointer to cut the Tigers' lead to single digits, 33-25. He later hit a floater and Taft called a timeout with four minutes left in the quarter, up 36-27. The Taft Tigers went on a 12-2 run to end the third quarter and the Bulldogs found themselves down 46-29 to start the fourth quarter. The deficit was too much for Culver and the Bulldogs lost to 3A Taft 67-39. Their next home game will be on Jan. 9, and will be against Santiam, starting at 6 p.m.